Half painted: why do you get half painted in decoration? 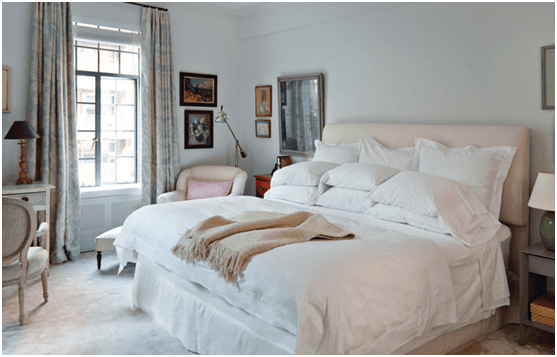 Your bedroom should be the ultimate sanctuary. It’s where you go to escape from the world, rest your mind and body, and get to be completely yourself. There are plenty of ways to make your bedroom the relaxing safe haven that it should be, and it doesn’t have to cost you a whole lot of money. By creating a bedroom that truly helps you unwind, you’ll get better sleep, and feel better overall. 1. Find the best possible bed. The quality of your mattress makes a huge difference to the quality of your sleep. An uncomfortable, unsupportive mattress will leave you aching and sore in the morning, rather than refreshed and ready to face the day. While investing in a great mattress is a sensible idea, it doesn’t have to be a budget-breaking investment. There are plenty of high-quality, supportive mattresses out there at a decent price, like those from Noddys Beds. They’ll have you feeling comfortable again in no time. 2. Create a dark, relaxing ambience. The best way to dim your bedroom and get that truly relaxing atmosphere is by hanging curtains that you love on your windows. Blinds don’t have the glamorous, personal feel that curtains do, and they won’t keep the light out as effectively. Hanging floor-sweeping curtains will make your room feel more spacious and luxurious while eliminating unwanted light. 3. Opt for soothing shades. The colours you use can have a major impact on the feel of a space. While you may normally love bright pops of colour for your home, this won’t have the soothing effect you want from your bedroom decor. Choose neutral, warm, or muted shades for your bedroom walls. 4. Clear up the clutter. If you want to get stressed out as soon as you walk into your bedroom, leave the clutter lying around. If you want to unwind and sleep soundly, make sure your space is clear and clean. Hold a regular de-cluttering session and put everything back where it belongs so you feel like the bedroom is truly your own private sanctuary. 5. Ban your smartphone. We know – it’s always fun to scroll through your social media newsfeeds when you’re lying in bed at night, but this hobby could be messing with your sleeping patterns and destroying the atmosphere of your bedroom. Make your room a phone-free zone and switch off your laptop in the evening before bedtime so your eyes can rest. 6. Choose comfortable fabrics. The sheets you sleep in can make or break your sleep. Invest in natural, breathable fabrics for your bed sheets so that the temperature is always cool and comfortable. It’s also great to have various layer options available on your bed, so you can throw an extra blanket over if you get chilly, or take a cover off if you’re overheating. 7. Dim the lights. In order to get the mood right when you’re winding down before bed, it’s nice to be able to gradually dim the lights in your room. A bright overhead light can be too stark for your sleeping space, so install a dimmer switch that you can gradually dim as you get ready for bed. This means you can read in your bedroom without keeping your brain awake with bright lights.